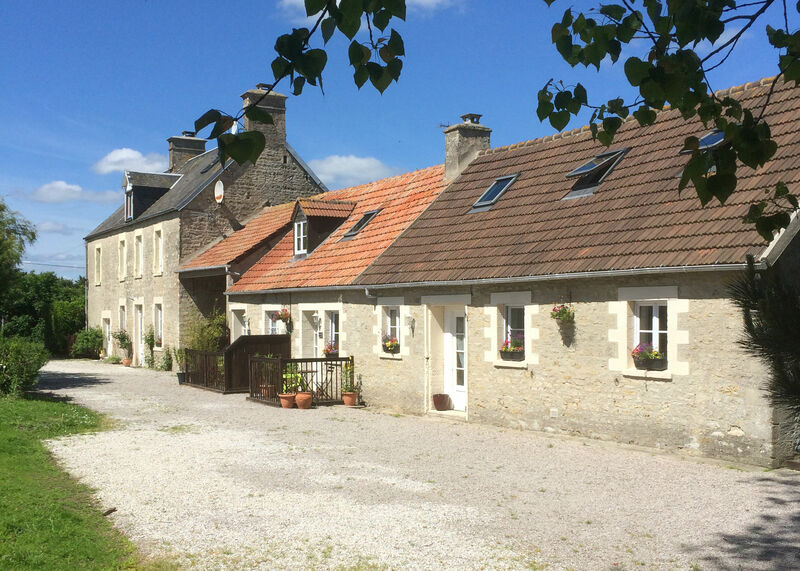 Our D-day beach holiday cottages (French gites) are fully equipped for self catering holidays. They are tastefully decorated and furnished. Each cottage has a kitchen, living and dining area and a shower room. A perfect base for visiting the Normandy D-day beaches. We have three rental holiday cottages and these have been named after famous people associated with the US 4th Infantry: Roosevelt (up to 4 people), Hemingway (2 people-couple) and Barton (up to 6 people). We have children so we know how hard holidaying can be for families. We welcome families and go out of our way to make your holiday as pleasurable as possible. We are happy to offer travel cots, high chairs free of charge for your stay in our cottages. Should you need any extra special requirements for your children or baby, please do not hesitate in contacting us. Each cottage has been equipped with a flat screen TV with satellite reception of English and French television. To stay connected with the outside world, FREE Wi-Fi ADSL Internet is available for all of our clients. Surf the web, check your emails or plan what you will visit next whilst you are here; all from the comfort of your cottage. Our holiday cottages have access to beautiful garden that back on to wonderful countryside and the dunes of the D-day beach. A holiday at our accommodation is a perfect escape from the hustle and bustle of modern living. Relax and unwind in a tranquil setting and enjoy our lovely shared garden areas.